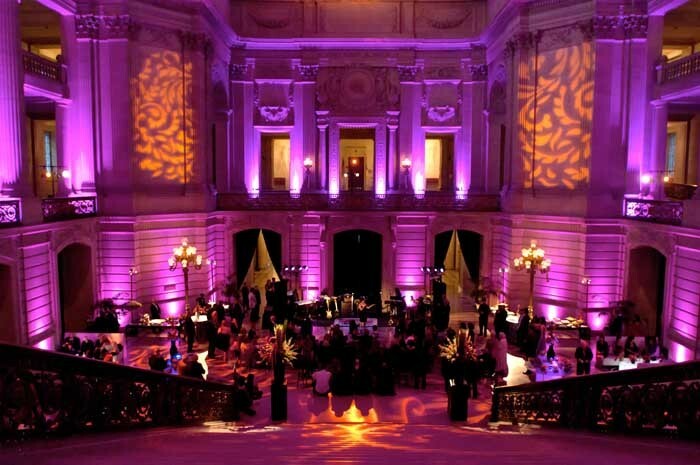 Monitor Lighting love to light up the capital by providing lighting hire in London. With so many inspirational venues, visits to the capital are always a delight for our staff. If you want to turn your venue into a statement by changing the external appearance or would like to highlight intricate internal features, we have the skills and raw materials to help you realise your vision. Help get your London event moving by selecting one of our traditional dancefloors as the focus of your social gathering. Black, white, natural wood or chess board finishes are all available to complement the theme of your event, the personality of your venue or the overall lighting design you have in mind. Available for bespoke sizing and installation, we give you the options to reflect the significance of this element of your event. Just as the capital is at the hub of developments in popular culture, Monitor Lighting can reflect your ambitious plans by supplying the most up to date tools available to help you bring your dreams into being. Multi-coloured and LED dancefloors are endlessly versatile, giving you the palate to the third dimension of your event – wall, ceiling and now floor! Add a fairy light canopy to your London event and transport your guests to a star-lit grotto. Giving the impression of greater depth, Monitor Lighting’s canopies project a warm ambience helping your guests relax and enjoy your function even more. London is the showbiz capital of the UK, and that’s why we feel we have to offer so many options when it come to lighting hire in London: we want to make our service just as spectacular! What better way to add a slice of that excitement to your party then to install a star cloth? Classic white light on black cloth, or the cleaner lines of white on white, both are available in a variety of sizes to suit your needs and deliver the capacity to change the mood and perception of large areas of your venue. Set in multiple colours, deployed in sets or used sparingly to highlight a specific area or element of your venue, our LED uplighters have been a staple of many of our most successful lighting designs over the years. Since they produce very little heat, our uplighters can be hidden from view, which can create an ethereal effect around your venue. Speak to our team about how best you can use this technique to maximise the available space for your function. The transformative powers of Monitor Lighting’s lanterns are not to be underestimated. Orbs of welcoming light with great warmth, our lanterns can be used to insinuate depth when hung in groups of varying size or might be adopted traditionally to light a path with an enticing grandeur. Why not take a moment to browse examples of our previous installations by viewing our gallery? Perhaps you’ll see an effect which is perfectly suited to your London venue. With our vastly experienced team and dynamic service offering, Monitor Lighting have the expertise and tools to bring your vision to light. Click here to begin the journey of illumination for your function. With your imagination and our technical skills, Monitor Lighting are your perfect lighting partner.